because it is my last Pals Paper Arts design team project (PPA isn't going anywhere, I am simply stepping away from the team for now). To my fellow design team members - Linda, Michelle, Mary, Katy, Lisa, Patti, Michelle, Dawn, Sandie, Susan, Ann, Maggie, Peggy, Mike, Beth, Ginger, Rae, Amy, Nicole, Brian, and Windy -- it has been such a pleasure and honor to design alongside you! You are all so very talented and I love the mix of beautiful stamping styles that span across the group! And to everyone else reading today, please be sure to join in and play along with us for PPA260! I can't wait to see what you create! Enjoy a little creativity today! As I said, it is fresh and fun. I am confident that so many of you will adore creating with these colors! The green and pink-ish red are bright and cheerful while the blue brings in a nice balancing tone. It's actually quite the "preppy" color combo (and I mean that in the best way) and really wonderful for summer. I do not have ink in Cucumber Crush or Watermelon Wonder and that was part of the quandary. When faced with a challenge to use a color combo, a "go to" technique for many crafters is lots of white space with just a few splashes of color. That was not a possibility for this one! Oh, did I mention I pulled out my brayer too? The Night of Navy background is courtesy of my brayer and ink! This is truly becoming my fave "fast and fabulous" technique! Of the new colors, which ones are you "crushing" on? For me, it is Mint Macaron and Tip Top Taupe...love them! Be sure to leave a comment with your faves! And, do come play along with us at Pals Paper Arts! The PPA258 Challenge closes on July 7 at 12 noon Eastern! 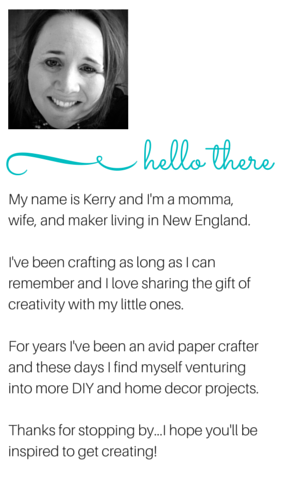 Today I'm sharing my latest Pals Paper Arts design team project. Truth is that it is framed by a "brick wall" courtesy of the brand new "Brick Wall" Textured Impressions Embossing Folder. It is a 6"x6" folder and I love the large size of the folder! Do you notice how realistic the brick shapes are?! I think this folder has moved into first position as my favorite folder...it is going to get a LOT of use! I could go on and on, but let's take a look at the actual sketch for this PPA challenge! This is a week where I kept to the sketch...there is no tweaking at all! I do adore creating square cards and the one I made is its 3"x3". This size cannot go in the mail unless of course you place in a larger envelope. For those who keep the Stampin' Up! Medium Envelopes on hand, I recommend making 4-1/4" square cards -- easy to drop those square cards in the mail! One would think that I knew the Triple Banner Punch was coming when I put this sketch together but I assure you that I did not. However, this new punch is just the right tool for this sketch! This set is just right for making lunch box or suitcase notes for loved ones, quick cards from friends or colleagues, or even to create framed art. To my fellow Design Team members, to each of you, I say, you're a rock star and I am excited to see what you've done this week! To everyone visiting today, Remember you can do it! Play along with us at Pals Paper Arts!